It was from our experience in child psychoanalysis and our consequent interest in acting as a means of expression that we came to engage in the practice of psychodrama after World War II. In the course of psychotherapy sessions, it is a common occurrence for a child to play dramatic roles quite willingly. At that time we knew of Moreno’s work only by hearsay, and thus we were obliged to improvise and make numerous experiments using diverse approaches, these early efforts being reflected in our first publications on this subject (Diatkine, Kestemberg, & Soccaras, 1950; Lebovici, Diatkine, & Kestemberg, 1952). We were concerned, moreover with the need to treat the greatest number of children with limited means. Hence we were interested in anything that seemed to be a technique for group psychotherapy. Our method underwent rapid transformation. Extending psychodrama techniques to adults demonstrated to us that dramatic play, if customarily an infantile mode of activity, could fulfill an expressive and therapeutic function much greater in scope. In addition, we recognized some of the ideas that had originally inspired Moreno and that had subsequently led him to formulate certain principles that are open to question. As psychoanalysts, we perceived in psychodramatic experiments a dynamic pattern that was familiar to us. Transference mechanisms were clearly manifest, and to a large extent they determined the behavior of the patients. This factor appeared to be ignored in Moreno’s work; to us, it seemed important to focus attention on the specific modalities of transference occurring in psychodrama, since a precise understanding of these manifestations determines the handling of interpretations. It was essential that this therapy be brought back to a generally acceptable psychopathological perspective: although the value of dramatic experimentation is indeed inescapable to anyone who may practice this method, the “theory of spontaneity” does not seem to us to give an accurate account of clinical reality. It is axiomatic that a specific experiment not be considered on the same plane as a general, and unsatisfactory, theory. Although greatly indebted to Moreno on a certain technical level, we have diverged from him completely on the theoretical plane. Our own experiments confirmed our psychoanalytic viewpoints, and thus psychodrama seemed to offer us the opportunity to conduct a psychoanalytic type of therapy in circumstances (age, personality structure) that usually contraindicate this type of psychotherapy in its classical form. Using this approach, we were able to study not only transference but at the same time the dramatic expression of defense mechanisms. Naturally, the general conduct of the treatment was modified. As our method developed, another element proved to be important—group dynamics. In our first experiments with psychodrama we had been treating a group of children, and it was not until later that we dealt with adult groups. Gradually, we learned to see the group as a real entity, having effects that can be utilized therapeutically when properly understood but that are also apt to lead to harmful consequences if ignored or used imprudently. Furthermore, treatment of a group of children or adults cannot be likened to treatment of an individual by a group of psychotherapists. In the former case, each member of the group acts in his own interest, which gives a specific character to the dynamics of that group. The complexity of the factors intervening in psychodramatic therapy (such as those just mentioned—dramatic play, transferential phenomena, individual dynamics of patients, or group dynamics) induced us to attempt a more precise and specific definition of this technique, which is particularly adapted to the personality of children and adolescents but is also applicable to adults whose personality does not permit sufficient emotional detachment. Our position is contrary to that of Moreno, who sees in psychodramatic experience a deeper reality than in life itself. This attempt to transcend human actuality on the psychodramatic stage defines, we believe, Moreno’s philosophy as well as his methodology. He will not hold it against us for not following him in that realm. By no means, however, should this be taken to mean we are in accord with Slavson (1950) when he compares psychodramatic activity to perpetual acting out, which would imply a distortion of reality through the projection of images. Actual experience shows that this does not occur, even in schizophrenics. If psychodrama always unfolds with a true-to-life reality, in each instance verifiable, we must not forget that it constitutes a wholly original and distinct experience; this is so whatever the structure of the psychodrama and whether it derives from what the patient perceives of the real world or from what he is capable of imagining in his daydreams. It is this uniqueness that gives properly handled psychodrama its maturational value. Psychodramatic Expression. From his earliest publications on psychodrama, Moreno has maintained that the value of acting is that it enables the patient in particular, and man in general, to recapture his spontaneity. Psychodrama, then, is thought of as a process of relearning what each of us has lost through the exigencies of group life. Thus, Moreno declares that the verbal era, symbolized by the psychoanalyst’s couch, has been superseded: henceforth, psychotherapy, as carried out through psychodrama, will study man in action, achieving self-revelation and self-realization in a positive way. Our own findings differ. The ability of disturbed patients to enter into psychodramatic action took us by surprise at first, so greatly did their spontaneity sometimes exceed that of reputedly healthy subjects. Yet it became apparent to us that their behavior was rigidly controlled by a series of factors among which we find the very same factors that govern what a patient says during psychoanalytic treatment. In psychodrama, then, transference phenomena continue to play a major role in patient-therapist relations, and they determine the patients’ relations among themselves. Action, like speech, is the result of impulses and what, in psychoanalytic terms, are called ego functions; therein lies its potential to be of great therapeutic value. There exist in this regard two misconceptions, one as erroneous as the other: the opinion of certain therapists who believe that it is a sign of imminent recovery when patients show acting ability thanks to a rediscovered spontaneity, and the opinion of many patients who think that playing a role is learning how to live. If all the dynamics of human behavior are indeed manifest in dramatic expression, nevertheless our empirical findings would be robbed of their essence by a failure to see the specificity of this therapeutic method. It is true that the history of each individual unfolds through a developmental sequence in which gestural and imitative expressions constitute the matrix wherein verbalization is formed; but for all that, there is no justification for forgetting that it is a question of dialectical evolution in which the processes of cathexis and decathexis are not governed by some simple formula. Human groups have always found this mode of expression, the dramatic action that accompanies speech, to be an indispensable means of communication. Although it is not within everyone’s power to say what he wishes in a way that his meaning is always understood, it is clear that movements and gestures, supplemented at times by a few basic words, are for one and all a reliable and effective means of expressing emotions. All those who have had no experience with psychodrama might think that the fiction implicit in this mode of expression would be constraining, and they also might find a hint of derision in the word “play.” Yet during our first experiences with adults (depressed and hypochondriac patients, little inclined to fun and games), we were struck from the outset by the total expressiveness with which they played their parts. Without exception, they had been very suspicious when we first explained this method, and they, too, were amazed at the intensity of the emotional experience they underwent. We encountered this dramatic aptitude and gestural adaptability in a wide variety of patients—children, adolescents, adults, patients with neuroses or personality disorders—and in normal subjects as well. Further on, we shall discuss the case of psychotic patients. Psychodramatic Communication. Psychodrama enables patients not at all predisposed to use dramatic language to express themselves with realistic intensity, much to their own surprise. It should be added that this mode of expression actually involves the entire group, not only those who contribute actively to the dramatic performance, but also all those who are present as the action unfolds and who make up the audience. Unwittingly, an individual imbues his actions with this special communicative value in proportion to the emotional reaction of other group members to his performance. Having the usual alternatives of speech, gesture, or mime available, children and adults alike promptly find a supplementary means of communication in the added motor activity which comes so easily to them in a psychodramatic session. Psychodrama enables patients to assume a better distance, not only in the classical sense of object distance as used in clinical psychoanalysis, but also in the everyday meaning of the term: the patients move about, approaching or withdrawing from therapists and other group members, and these movements have a significance that is immediately perceived by everyone. Relationship in Psychodrama. By virtue of the expressive opportunities psychodrama affords the participating patients, the importance of the emotional factors it brings out, the effects it has on the therapists and the audience—for all these reasons psychodrama is not simply a special means of expression on the verbal level; indeed, it enlists all the means of expression available to an individual in light of his situation within a group. Experience shows that often from the very first psychodramatic sessions patients reveal—in a way that is no less striking to the therapists than to the patients themselves—certain aspects of their unconscious life. In an ordinary therapeutic dialogue, everything transpires in effect as if the subject, though capable of assuming a certain position vis-a-vis the doctor in whom he has placed his confidence, cannot make any departure whatever from that position. One frequently observes patients who make a frank and lucid presentation of their problems as they see them, and then, after a few interviews, can find nothing further to say—a concomitant of those very problems, limiting factors which circumscribe a patient’s expressive capacity as well as his conceptual ability. A clinical session, like any psychotherapeutic treatment, takes place within the framework of a concrete doctor-patient relationship, and it progressively unfolds through dialogue: when a child plays and we understand his play, it is nonetheless true that he may often go on to reveal to us some radically new aspect of this play. Take the case of a five-year-old girl who constantly played at being a cat, explaining to us that she would like to be a cat because cats eat mice; she showed us her fantasy relationship to the mother image. Yet at the same time, perched on her mother’s knee, she ardently declared that she would like to remain her baby forever and ever. Not only did she not say that a mother may eat her children, but, on the contrary, one could sum up what she wanted to say as follows: cats eat mice, but Mama can’t eat me! This aspect of negation has been well known since Freud, and one must always bear in mind the fundamental difference that exists between what a patient wants to say and what, precisely, he cannot say. It is not enough, however, to speak of the difference that may exist between what is made explicit and what remains implicit, between what is thought or imagined and what is actually experienced; further study is needed to determine how this gulf develops. We do know that it is formed by defense mechanisms, reaction formations, and, in particular, ego defenses. Psychodrama brings us in direct contact with these reaction formations. The patient cannot fail to grasp their significance, although it is true that usually he does not accept their reality until well after the audience has become aware of them. In this connection, we shall cite the case of Henri, an adolescent who, at the age of six, had been examined by several child psychiatrists. They had concurred in diagnosing his case as one of incipient psychosis. For several years the child underwent psychoanalytic therapy. We cannot retrace the course of treatment in detail here, but it proceeded along classical lines. The facets of Henri’s oedipal identification with his father were examined at length through his fantasies about automobile races. The fact is that in his oedipal relations the father imago was bound to provoke both satisfaction and anxiety in Henri, for his father—an intelligent and attractive man, but weak alongside the mother—had actually been seriously injured in an automobile accident. The child’s mother, the daughter of an Army officer who had died a hero’s death in the First World War, continually identified herself with her father, imagining herself in her fantasies in the guise of a heroic amputee. It was inevitable in this case, with such distinctive features, that the anxiety-provoking relationship with the mother, pregenital in nature, soon became the focus of treatment. The pattern of this relationship emerged visibly within the framework of the transferential relationship; the child would approach the analyst warily and with manifest guilt. During the same period, and this detail is not without importance, Henri had had an attack of ptomaine poisoning caused by a meal given to him by his teacher, a woman he idolized. In the wake of this illness, Henri was persuaded to accept certain interpretations concerning his fantasies about the dangers involved in oral incorporation of the mother object. Although this material was worked through interpretatively at great length, taking the most recent events just described as a point of departure, the fact is that the interpretations were given in symbolic terms that were attuned to Henri’s psychopathological structure but were, after all, anachronistic. During the latter phases of this psychoanalytic treatment, Henri’s masochistic relationship with his mother became the object of systematic examination. The child, then in full latency, could still recall the sexual excitement that had unexpectedly come over him in the following circumstances: he had been irritating his mother by playing the fool, until suddenly she seized him by the wrists in anger. Despite the intensity of his interpersonal relations, both with his mother in real life and with the analyst in transference, an isolation phenomenon set in, which, it must be added, permitted Henri to resume a feasible modus vivendi with his mother and to make real progress in his behavior. A new gulf, however, was created between a certain elaboration of the mother imago and Henri’s current conception of his real mother. This isolation was purposely respected by the analyst, for to have done otherwise would have plunged the child into regressive attitudes causing serious disturbances. A few weeks later Henri asked that the sessions be suspended. This desire to break off treatment, common in psychotic children, was agreed to. Subsequently, Henri did not revert to past behavioral problems, but he remained estranged, different from others, and his parents were concerned over his rather mediocre adjustment to school and his sudden and unexpected impulses. Moreover, he had a passive homosexual tendency, which caused him some unpleasant experiences and distressed his mother. This is why psychodramatic treatment was eventually undertaken. In the very first session, a typical phenomenon occurred. Henri told us that his father had undergone major surgery and his mother wanted him to remain on vacation for another fortnight. He had then felt an irrepressible urge to return home; he had made one attempt to run off and in the end, against his mother’s wishes, had returned home from where he had been asked to stay while his father was in the hospital. When we asked him how his mother had received him upon his arrival, he replied, “Very well.” We suggested acting out this scene. The first time through he played his own role. The psychotherapist playing the part of the mother received him severely, scolding him for his disobedience. Henri played his own part with great naturalness and counterattacked convincingly. When questioned about what he thought of this performance, he maintained that that was not at all how it had really happened, insisting that his mother had greeted him warmly. So then we asked him to play the role of his mother. He depicted her as even more hostile than before, going on to say that his inopportune return would cause more work, an extra burden quite uncalled for in such trying circumstances. We pointed out to him that his portrayal only confirmed what had transpired in the preceding sequence. Henri seemed annoyed and said that we were, in fact, quite mistaken. So the same scene was begun again with the same assignment of roles: Henri, playing his mother, proceeded to explain that in spite of all the inconveniences caused by his return—extra work, added worries, one more mouth to feed he was, after all, welcome. Thus, this adolescent wanted to tell us that his mother was really the best of mothers. He wanted to think so. For him to do that, all the interrelated elements had to be brought to a focus, a process which was, in fact, none other than working through his means of defense against the anxiety caused by his mother’s behavior. Henri’s psychosis manifested itself in this form of defense in particular. This objectivation of defenses, with reference to their contemporaneous sources in the unconscious, is one of the specific advantages of psychodramatic therapy .. The session just described brings us directly to the question of the significance of role in psychodrama. This therapeutic method obliges a patient to identify himself through dramatic action, several times over and in different ways, with a wide variety of situations whose implications he does not fully comprehend on the verbal level. The word “role” is usually associated with the theater arts: an actor plays a role, which he has memorized from a script. This usage is derived from the French term roles, designating the rolls on which dramatic parts, and acts of law as well, were formerly written. These different connotations of the word role brings us back to a matter that has already been discussed at length: the contrast that may exist between a patient’s conception of himself (the role according to the script) and his live performance in a psychodramatic situation (the role he plays spontaneously). Any study of role must take into account the work of modern microsociology. Moreno (1953) demonstrated the great importance of the concept of role taking. These first steps have led to some extremely interesting developments in light of which role should be defined as referring to the position taken by an individual within a given group. This position is determined partly by the personality structure of the individual, partly by the group’s reaction to this structure, and lastly by the individual’s reaction to the reaction of the group. Obviously, a given individual will have different roles in different groups, and great credit is due the microsociological method for studying how these aspects of personality vary as a function of diverse situations. Comprehension Levels in Psychodrama. Thus, viewed from the perspective of microsociology it becomes clear that every individual can be studied and understood on four different levels: (1) the level of his personality structure as determined by recurring phenomena linked to his own life history and past experiences; (2) the roles he is capable of assuming because he happens to be in a group situation; (3) the organizational effects on his behavior that are determined by the pressures of the various groups he lives in, that is, the effects on individual structure that arise from group structure, which can in turn be seen to vary according to the leader’s attitude and the character of the group as a whole (authoritarian, democratic, or anarchic); (4) the level of reciprocal interaction between these different individual and group structures, such as the reactions and counter-reactions cited above. Psychodrama and Role. In verbal therapy, one cannot forget that by definition patient and doctor are each confined to a very precise role: the patient comes seeking help; the doctor takes the attitude he feels is best suited to help his patient as much as possible—even perhaps remaining silent, as is often the case. But neither the one nor the other may step out of his role and, furthermore, acting out is recognized as an attempt on the part of the patient to do just that. In group psychotherapy using verbal methods, an analogous situation may be seen, that is, the doctor has a clearly defined role and the patient usually tries to get the doctor to depart from that role and at the same time attempts to break away from his own role. We know, however, that if the treatment is handled skillfully these attempts are vain, and in verbal group therapy, too, each participant is, in a way, a prisoner of his role. In psychodramatic therapy the method is different, since right from the beginning we encourage patients to depart from their role through the fiction of drama. They are, moreover, quite surprised at first when we ask them to play persons other than themselves, especially since we agree to the performance of any type of situation. As a matter of fact, during the initial sessions patients exercise these options with moderation, and not without a certain embarrassment. There are two aspects to consider in the results of this simulated reversal of role in psychodrama. The first lies in the fact that patients and therapists together enact situations which are totally different from those normally falling within the scope of the doctor-patient relationship. After some initial hesitance, patients think they can easily take advantage of this liberty to derive a great deal of satisfaction. Rather quickly, however, they meet with failure in this attempt to obtain the gratifications they desire, as we shall see in detail in the section devoted to transference. 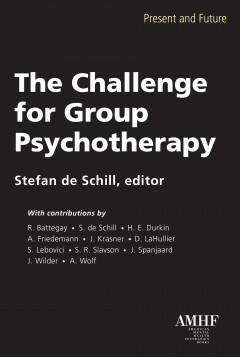 In group psychodrama, the dramatic roles taken by an individual member of the group modify the permanent role of that patient with respect to the group. For this reason it is important to observe individual positions in relation to what is enacted on stage and also in relation to what actually happens within the group structure .. Certain patients who play leader roles come to be regarded by the group as deviants. It is essential to watch for clues to such a development, for in a few sessions the deviant aspect of a patient’s role usually becomes very marked, sometimes jeopardizing the group’s cohesion. The second aspect of role in psychodrama becomes apparent when we urge upon a patient a role that he would not have taken spontaneously. If a patient describes an incident involving someone close to him, we often ask him to take the part of the other person in order to reach a better understanding of the situation. We have already shown an example of this in the case of Henri, who was asked to play the part of his mother. For rather definite personal reasons, directly related to his identification problems, Henri clearly would never have taken this role spontaneously. Thus, we thrust him into a situation which was totally new to him, but he nevertheless adapted very quickly, playing a role that was to a large extent over-determined. It was evident that in pretending to be his mother, he could portray her only as fear-provoking. Yet we had seen him introduce his mother to the audience as a good mother, one who corresponded, moreover, to the mother figure he would have liked to have. He was sincere, we maintain, in all his seemingly contradictory positions. We are of the opinion that this aspect of the mother imago could never have been experienced so directly without a long process of working through, without an extensive examination of resistances and defenses. This therapeutic shortcut—in Henri’s case the rapid revelation of the mother imago, a portrayal quite contrary to what he wanted to show us—is surely one of the most advantageous aspects of the psychodramatic method; but at the same time it is one of the most difficult to achieve. It is particularly interesting to note that patients are unable to portray at will the role they want to play. Henri certainly wanted to play the role of a good mother; when we pointed out to him that his mother seemed singularly cold toward him in the previous scene, he wanted to do it over again and rectify that impression. But despite this conscious desire, he was unable to do so successfully. With regard to what Freud called the economic aspect of neuroses and psychoses, the basic findings of miscrosociology show us that the role taken by an individual within a group determines in large measure the equilibrium between satisfaction and frustration that characterizes that individual. At the same time, the social aspect of individual behavior affects the very structure of personality, that is, it affects the individual even in an isolated context. We cannot, then, draw any hard-and-fast lines between these spheres, and we should never forget that even the most stable balance of impulses is continually being re-determined by the social milieu of an individual. It is equally true that a crucial component of skillfully handled psychotherapy is investigation of the disparity between an individual’s character traits and the role he assumes in various groups.